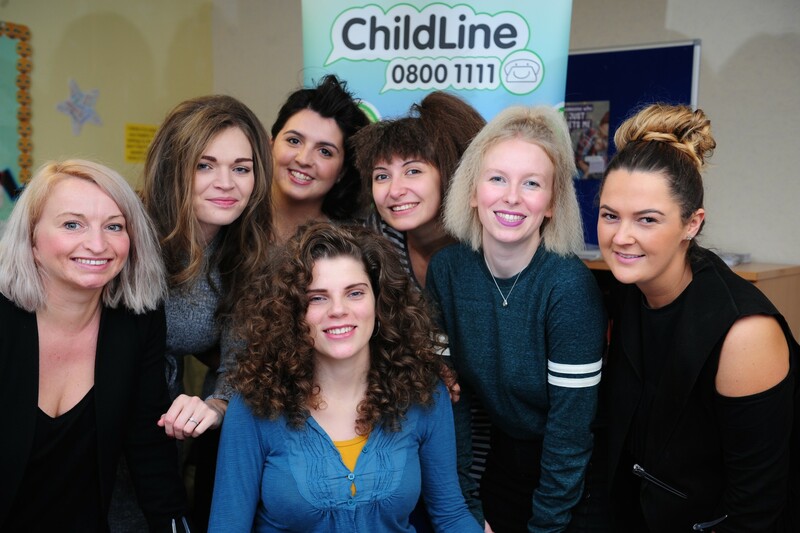 KH Hair stylists and leading Art Team members Helen Stilwell (from KH Hair Arnold) and Jessica Neil (from KH Hair West Bridgford) set up shop at Childline HQ to give classic 80s makeovers to staff and fundraisers who work so tirelessly helping young children in our region. Four volunteers were transported back to the decade when it all began as Helen and Jessica crimped, curled, pinned and sprayed their hair to recreate iconic 80s looks. Helen said on behalf of KH Hair: “We really wanted to do something fun and inspired for the 30th birthday of this amazing charity. At KH Hair we’ve supported them for many years and as two brands with a long and rich heritage in the East Midlands we felt compelled to do something a little different that would also be enjoyed by some of the fantastic local volunteers and staff at Childline’s Nottingham HQ. It’s been a trip down memory lane for some of us whilst the younger ones amongst us are enjoying unique 80s styling for the very first time!”. 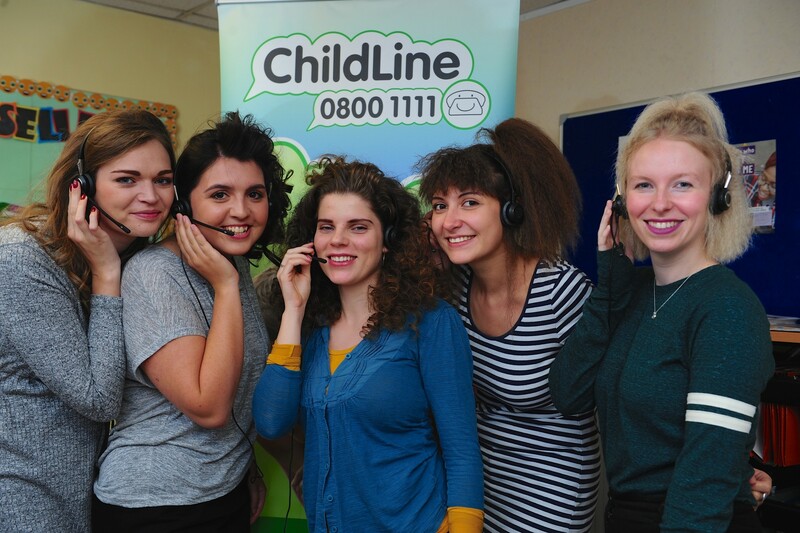 The Childline Nottingham base was the second to open in the UK behind London and has completed almost 400,000 counselling sessions since its launch in 1988. During that first year, just over 3,000 counselling sessions took place, a figure that has risen to just over 25,000 in 2015-2016, demonstrating the vital work that is carried out by the team at Nottingham. 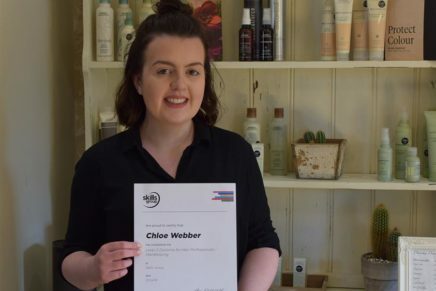 Rosie Golton, Volunteer co-ordinator for Childline Nottingham, said: “KH Hair’s support for Childline stretches back over many years and has changed the lives of hundreds of children. Getting involved in this way at the start of the week and has put a smile on all of our faces! It’s interesting for staff and volunteers to get a feel for the styles of the time and think about how those who worked and volunteered back at Childline Nottingham in 1986 might have looked like when taking calls. Since Childline began in 1986, there have been well over 4 million counselling sessions in total and the newly relaunched website received 3.5 million visits in the past year alone. KH Hair have been a supporter of Childline for many years and the pop up salon is supporting ongoing activities across the company’s 22 salons and barbers to raise money and awareness for the charity. 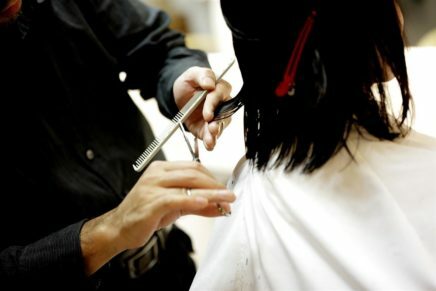 Every salon is currently running a competition for clients to win a free cut and blow dry simply by donating a pound. The competition closes on the 30th October – Childline’s official birthday – and the total funds raised will be announced shortly afterwards.